Have You Let Things Go TOO Long? Many young people, while still under the care of their parents, visit the dentist regularly. 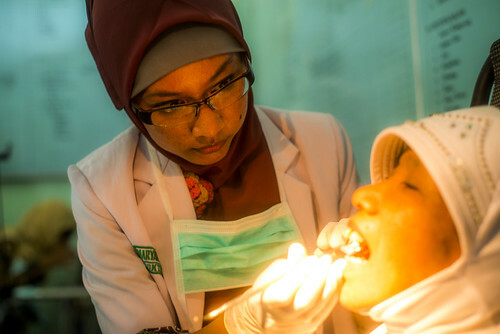 Once we reach adulthood, and dental checkups become our own responsibility, these appointments will sometimes be put off, perhaps due to a busy schedule or lack of dental insurance. Whatever the reason, you may find yourself with dental issues, and realize that you have either accidentally or intentionally managed to avoid the dentist for years. Even if your dental problems are hidden in the back of your mouth and no one else knows about them, these problems can cause you a great amount of stress, as you may be painfully aware of these problems with each and every bite you take. At this point, you may feel too embarrassed to go to the dentist. Maybe you’re worried that the dentist will judge you or lecture you about how bad your teeth are. Maybe you are afraid that your teeth will be the worst your dentist has ever seen. If it’s been a long time since you last visited the dentist, perhaps you are scared about the dental procedures, and you don’t know what to expect from your dentist. Maybe the idea of sitting in the dentist’s chair for an extended period of time is enough to keep you from making a much needed appointment. Whatever is causing your anxiety, you can rest assured that going to the dentist does not have to be a nerve-wracking experience. Medical advances, such as the use of I.V. sedation dentistry, have made stress-free dental appointments a possibility for people suffering with dental anxiety or other conditions that may make sitting through a dental appointment difficult. I.V. sedation dentistry is an excellent choice for people who need an extensive amount of work done, as sedation often allows a procedure to be done in a single session instead of several. Also, I.V. sedation allows you to rest comfortably for the entire appointment! If the thought of going to the dentist causes you stress, it is very important to find a gentle, caring dentist who is sensitive to your needs. Remember, your dentist is a trained professional who wants to help you. If a dentist lectures you or makes you feel bad about yourself, find a different dentist. It is time for you to be comfortable and confident again. It is time to schedule a dental appointment with an experienced dentist who cares about your oral health!